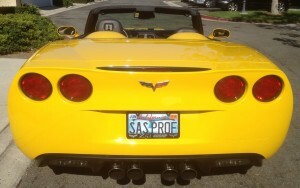 The SAS Macro Language: Powerful as a Corvette! I love the power of my Corvette and the power of the SAS macro language. That is why, for the past 12 months, when not driving my Corvette, I put my heart and soul into the challenging task of updating our SAS Macro Language 2 course, soliciting input from my colleagues in the SAS Education and SAS Technical Support divisions and from my SAS macro language students. The SAS Macro Language 2: Advanced Techniques course is now available. Check out the course outline for complete details. Validate that a particular user-selected variable exists in a particular user-selected dataset and that the variable is of a particular type. I developed this course for graduates of our SAS Macro Language 1: Essentials course who have gone back to the office, used the macro language, and now want to learn additional, more advanced techniques. To help you choose which SAS Macro course is best for you, take our brief and anonymous self-assessment quiz. 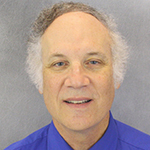 My goal was to develop an advanced macro course that would be as exciting, fun, and challenging as driving a Corvette, (well, almost) and, most important, relevant to the real world business problems that SAS programmers encounter every day. I look forward to your feedback and seeing you in class. Great to see the course has been updated! Look forward in teaching it soon to SAS users in Australia.